“Empty” Prayers Fall Heavy on God’s heart. – Journey of Emotions! “Empty” Prayers Fall Heavy on God’s heart. Today, once again, I found myself crumbling on my face before God. Not uncommon given the last couple years of our family life have been wrecked and emotionally turned upside down. All to familiar to me is this place of hopelessness and unanswered questions. A place of heart wrenching turmoil over the life of one of my dear children. Breath stopping anguish and pain settle in and so I do what I know I am suppose to. I pray. At least I try. 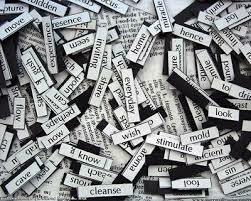 But the more my mind searches for words, the more I realize they aren’t there. At least nothing new. No new clichés` or verses come to mind. But my prayers fade to thoughts, accusations maybe, or even fear that my prayers are nothing more than empty reciting of meaningless words. They have become void of hope and gravely lacking anticipation of being answered. No longer able to even contrive emotions, only hollow echoing of repeated words tiresome of being spoken with no response. I beg for interruption from my Healer, my Maker. God is bigger, I know! He is my refuge, I know and I will persevere because it produces character and then hope follows. I know, I know. (Romans 5:3-4) But right now I am only persevering out of obligation to my God and my faith, pleading that the rest will follow. Does that count? Does God hear those kind of shallow repetitive prayers. Does He tire of my empty “broken record” sad lyrics of words? Other than the many verses that speak of God hearing the prayers of his people, my mind drifts to the moment of my role model, Jesus. That moment in the Garden of Gethsemane (Matthew 26:44 “And He left them again, and went away and prayed a third time, saying the same thing once more.” All I can say is this. If Jesus, the perfect man, feels the needs and desire to repeat his prayer, “saying the same thing,” and knows that God was with Him and listening, then I have no reason to doubt that my repeated pleas and begging fall heavy on God’s heart. Pray it, saying the same words if its all you have, but never ever doubt that God is not listening or doesn’t want to hear it. But continue following Christ’s example by laying it at God’s feet and surrender to His will no matter what. What “nobody” has to say! Drop the Fear, Raise the Risk, Increase the faith! Beautiful. Having decided to have a unconditional love relationship with God is always the right thing to do. Love your wording. I feel the Spirit. Having chosen an unconditional love relationship is always the right choice. Love your wording. Felt the Spirit. I’m always in awe at how you choose your words, my friend. Well said from a heart well-refined by fire. Love you! Love your heart, Theresa! Thank you for writing… I needed to read your words today.